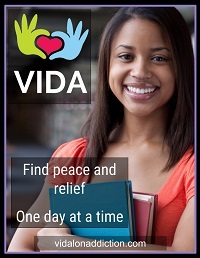 Palo Alto University’s current online Mental Health Counseling Master Degree student, Ms. Edit Vidalon-Moscoso, created an excellent resource to help our youths with drug addiction, vidalonaddiction.com. This free website aims to educate and support young people with their addiction problems. Anyone, friends, family and professionals, could use this website to find educational resources about drug addiction and understanding of the emotional issues.